What a lovely statue and flowering vine in your back yard. 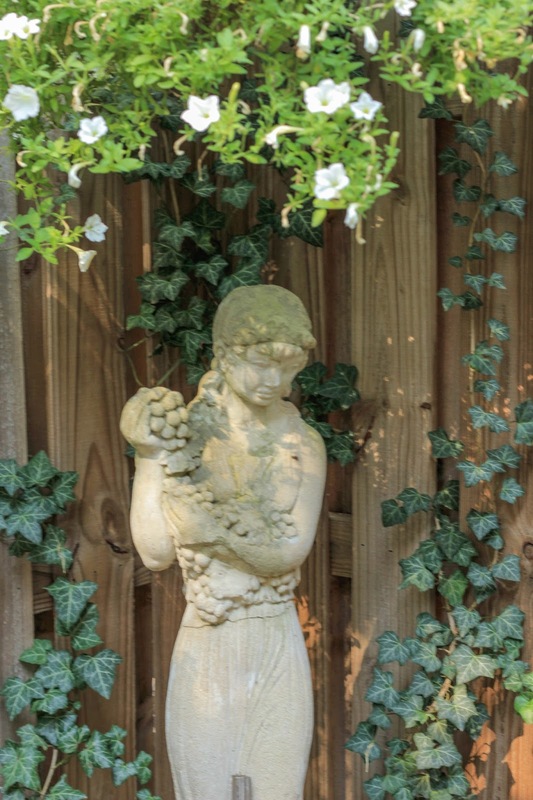 Check out my photo on my blog, it shows a flowering vine and sun garden ornament too. We are on the same wave length today. YAY … I look forward to seeing your photo! I like both the photo and the sentiment. Great photo with fantastic quote. I will try to remember it. Such an apt quote! Too often people do what they think they should be doing, rather than what they want to be doing. Actually… I tend to be a slave to the "should" … but I'm working to replace that faulty thinking.